I'm new...what should I do? Introduce yourself to the priest and come pray the highest prayer Catholics can offer to God. You will begin to meet and know the Sacred Heart parish family. Fill out this FORM and join our parish registry. If you are not catholic or have not received holy communion for a while, talk to a priest and discuss how you can enter into holy communion at mass. Consider coming to A Beautiful Breakfast once a month at Sacred Heart. -questioning souls who want to find out more about God. 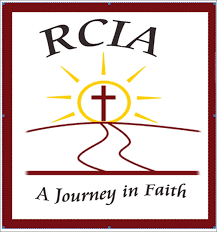 Call the parish to find out more information on RCIA classes for adults. Click here to download the registration form. There are many wonderful resources out there for people who are searching for God, and for his Church. A wonderful tale of a modern woman's journey from Atheism into Catholicism.